Germany certainly seems to be the mecca for fans of alternative music these days and especially those drawn to the darker spectrum. 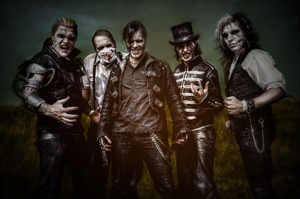 While festivals like Waken Open Air and Rock Im Park provide your more mainstream rock and metal acts, the likes of Wave Gotik Treffen and Amphi give you a taste of the underground threaded with some of the more high profile headliners. 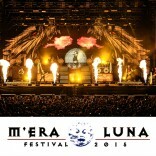 And in 2000 we got another festival to add to our timetables: M’era Luna. Rising from the ashes of the Zillo festival and reaching sold out audiences of over 25,000 each year, M’era Luna continues to provide the scene with a place to celebrate the music and fashion that make it great. It also seems to me that the people behind M’era Luna have more than simply money invested in the scene and its people. It’s a festival with a heart that shares its beat with every stiletto’d heel and Doc Martin boot which pounds the soil in in harmony with the music makers as they lead us in the ritual. I caught up with Stephan Thanscheidt (festival booking) and Jasper Barendregt (festival production) to find out more about it. What were your reasons for creating this festival? We knew from the start, that the mix of FKP Scorpio’s experience in organizing and promoting festivals, together with Zillo Magazine, one of the three major alternative magazines in Germany at the time, would be the perfect collaboration to make something beautiful for an audience that did not have a lot of alternative events in Germany. We were promoting some of the bands that have played at the M’era Luna long before the festival was born and with the help from our partners, we have tried ever since to capture the heart of our guests, using every possible tool to tailor our festival towards its fans. When the cooperation with Zillo ended in 1999 we chose to keep the festival alive because by that time, we knew it was something special that wasn’t seen at any other festival in Germany. Finding a new name wasn’t easy, but one of our Trainees came up with M’era Luna. We then knew: this was the name we were looking for. So what does M’era Luna actually mean then? It is a fantasy name that refers to the moon with all its many meanings and connotations. How do you feel M’era Luna differs from the other established music festivals in Germany and what do you think is its main selling points? From the beginning, the M’era Luna was one of the biggest events for the alternative scene in Germany, and is now renowned all over Europe for its atmosphere. 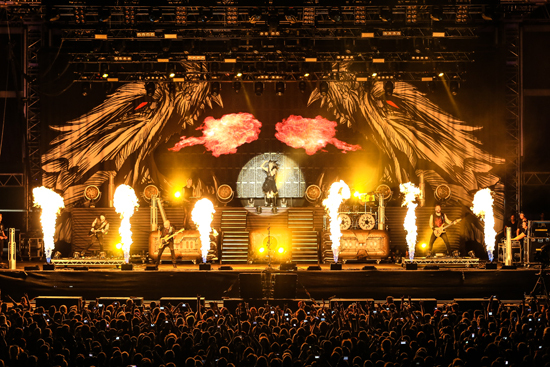 Other festivals such as WGT, (a beautiful festival all over the city of Leipzig) has all the advantage of different kinds of locations and the disadvantage of not having a real festival center. 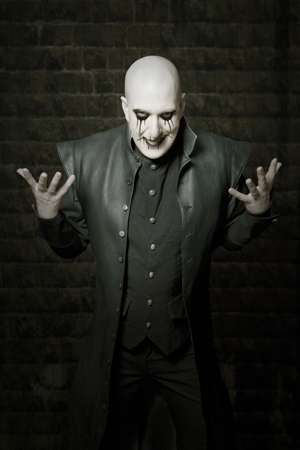 Compared to the also popular Amphi festival, we offer a wider supporting program on top of the musical program: e.g. with the medieval market, the fashion show, the gothic fashion town, scene related readings and late night parties. Also, we support newcomers and organize two newcomer contests – one for German acts and one for bands from abroad, a chance for upcoming bands, which none of the other events offer, as far as we know. What have been the main challenges with creating and running a music festival on this scale? We are very lucky that we found a great festival area at the airfield Hildesheim Drispenstedt near Hannover. The relationship with the owner of the Airport as well as the support from the city of Hildesheim have created the perfect environment for a festival of this size. From day one, the people of Hildesheim have been great hosts to our audience. The spirit of the festival can be felt far beyond the borders of the airport and every year we capture great moments of our guests and the citizens of Hildesheim. Our aim is to create an event that revolves around the wide interests of our guests and by doing so, you always find new areas, new trends, new passions that we try to follow and present at the event. Challenges? Yes, many, but always knowing: M’era Luna is worth it. While the UK was where the alternative music scene sprung from, Germany has certainly become the new epicentre, why do you think this is? Hm, difficult question, really. The scene in Germany is pretty big and very active and lively. All over Germany you can find clubs and events for this scene. And then, the internet makes it easy to listen to music from all over the world including German alternative bands. Germany is also the center of continental Europe so easy to reach from abroad, which may be why so many people travel here. Fashion and music are unquestionably interlaced, however there has always been a “fashion vs music” argument. What is your view on this and how do you provide for both of these aspects of the scene at your festival? We never felt this way. The M’era Luna has always offered a huge variety of scene clothing. As a matter of fact, the market, as we call it, has always been the number one shopping mile for anyone interested in the alternative fashion in Germany. There’s never been the necessity to choose between the music and the fashion, they’ve always been together at our festival. Obviously, we had to look into opening hours of the market vs the musical program, but we think that, by opening the entire fashion mile on Friday evening before the musical program commences, we have created the perfect mix of the both of them. Over the years we focused on even more distinct designers and their clothing or jewelry and also included a very popular and skillfully presented fashion show as fixed part of the program. A lot of designers use the festival to present their newest collections or to capture models presenting their clothes on the festival grounds. It is definitely a music & fashion event. We try to represent more or less the full spectrum of the alternative and gothic music, also scratching on the boarders to other musical genres, so that anyone in our audience will find music he or she likes and also gets a chance to discover new bands they might otherwise never have listened to. 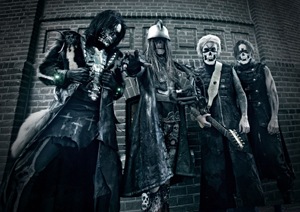 If there is an industrial slant this year it might just be because there are more industrial bands available. Are there any acts you’re personally excited about? 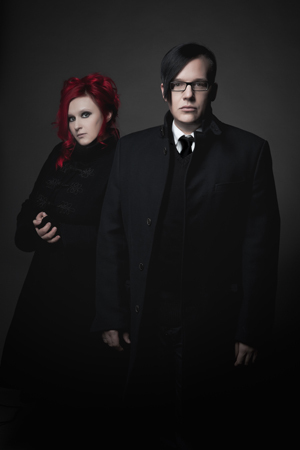 This year the bands I am looking forward to are Rob Zombie, Einstürzende Neubauten and of course Anne Clark feat. Herrb! There only appears to be one British act in your line-up with a general bias towards German. Is there a reason for this? As hinted previously: we do depend on the routing and availability of the artists. So this year we just have one British act, but we do also have acts from the Netherlands, the US, Norway, Belgium, Sweden and Italy. If there were any bands reading this that would be interested to play your festival, how would they go about being considered? First of all you should try to be part of the yearly newcomer contest, if you´re are a non-established act. Or just send an email with music, videos and links to us, if you already have a name in the scene. The main accommodation of the festival appears to be camping. I know some people are not keen on camping at festivals, what are the other accommodation options and how easy is it to get to and from the festival venue? Obviously, the aim is to provide the largest alternative camping on the planet. If you camp on site, you experience the festival at its most, since a large part of the event, the part that was not programmed by us, but is created by our guests themselves, takes place on the camping grounds. However, for anyone who’s not into camping, the city of Hildesheim offers a variety of Hotels and a shuttlebus connects the city with the festival grounds. In 2015 we will offer more forms of accommodation at our festival grounds – details will be announced soon – stay tuned. What’s the weather usually like in August in Hildesheim? August is usually one of the sunniest and warmest months in the German summer. Apart from the occasional drop of rain, we look back at, at least, three years of perfect festival weather! What would you advice be to people who have yet to try out M’era Luna? Since the airports of both Hannover or Hamburg are not very far away: Get a ticket and come along, you will love it! And do not hesitate too long we have been sold out the last couple of years.